SSA is a self serve ads platform built by Schibsted in London. It was launched at the end of 2015. SSA is available in France (with Leboncoin) and in Norway (on 5 newspapers and 1 marketplace) The cross-functional team consisted of a product manager, product designer, UX researcher, data analyst and engineering team (front end and back end). 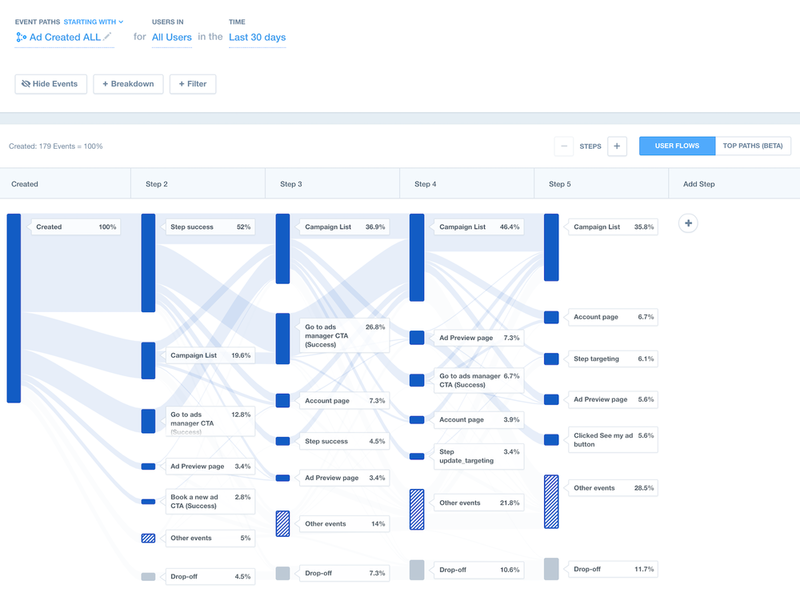 I worked closely with the product manager, UX researcher and data analyst, to identify our target customer’s needs, motivations and behaviours and define how the product could address them. I used a range of techniques to validate potential product improvements. 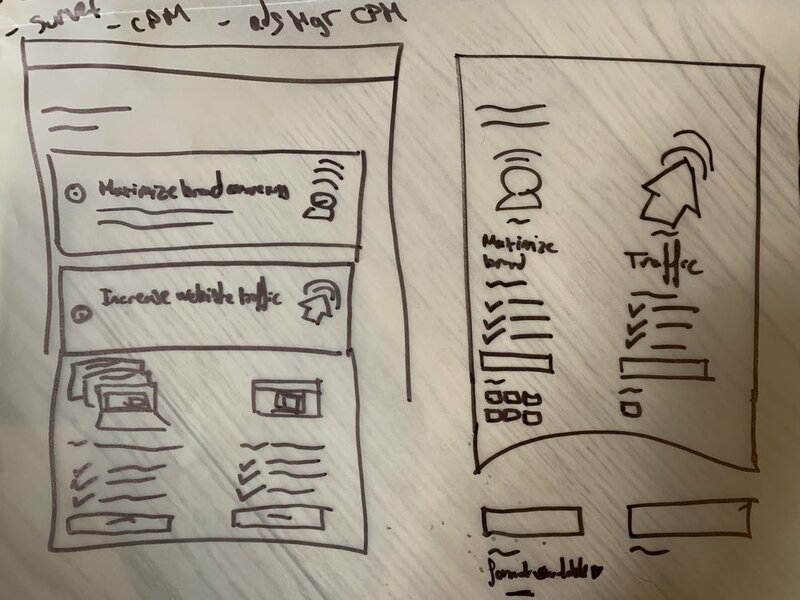 A key method was to create design prototypes to share ideas with the team in UX workshops, to support usability testing with our customers and to help communicate the vision during stakeholder meetings. The design phase consisted of getting input, rapid prototyping and get buy in from stakeholders. I created user journeys, wireframes, prototypes, design specs and all assets needed for development as well as maintaining the design system. We regularly reviewed the success of features rolled out through data analysis and identified / re-prioritised future potential improvements. By creating a self serve ads platform, Schibsted would make it easy for SMBs to advertise online and enable them to create effective (measurable) and highly targeted advertising campaigns while allowing them to have control over costs of the ad campaign. 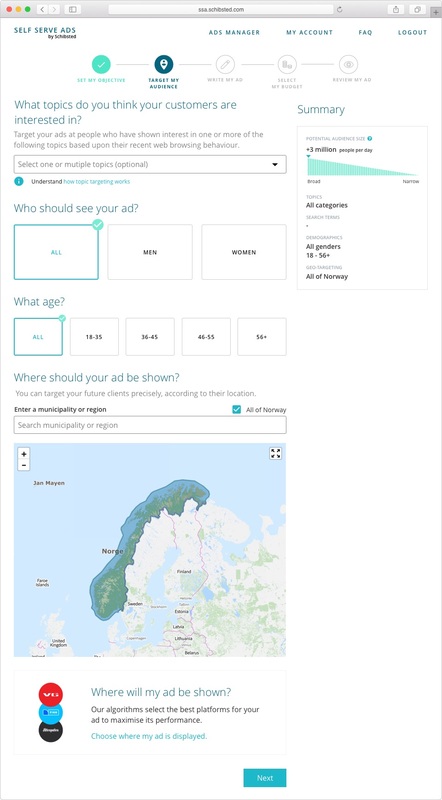 Self Serve Ads soft launched with leboncoin before expanding to the norwegian market. With 28 million visitors a month, Leboncoin saw a huge business opportunity for SMBs (small medium businesses) to advertise themselves to an audience with high purchase intent. Initial research had proven that the experience buying ads on the phone was daunting, usually more expensive and involved dealing with a salesperson over the phone. This experience was not consistent with the target customers expectations, having used self service advertising platforms offered by Google and Facebook to advertise their business. Throughout the product development process we conducted regular in depth interviews, usability testing, focus groups to constantly learn and better understand our customers. We also collected customer feedback through surveys at different point of the journey and work together with the customer support team to understand the main pain points. Throughout the product development process, regular competitive analysis was conducted to understand any changes and new features that were developed by competitors. We conducted regularly in depth interviews, usability testing and focus groups to constantly understand better our customers. This resulted every time in lots of new fresh ideas of improvements, new exploration and overall a better snapshot of the users pain points. 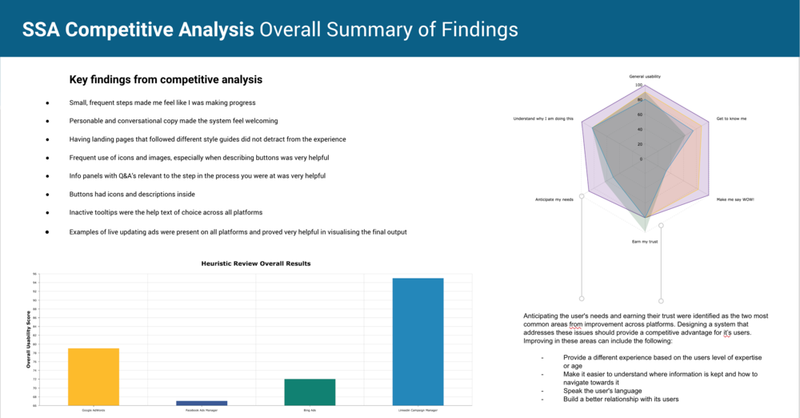 We conducted a series of surveys on a regular basis to collect user feedback consistently and one offs to deepdive on a specific user problem. I worked closely with the team’s data analyst to analyse and understand the product’s quantitative data. We would monitor specific behaviours, drop offs or low adoption of specific features and proactively react when spotting risks. This platform target audience is mainly for small and medium businesses trying to increase their visibility online and to take advantage of the high quality traffic available on Schibsted websites. We noticed two distinct type of users: "Novice" and "Experts"
We gathered all the research and feedback from surveys, in depth interviews, usability testing, focus groups and analytics data to create customer journey maps to visually identify and organize every touchpoint a customer has (or could have) with the product. Strong of 28 million visitors a month, leboncoin is the most popular and largest classified ad website in France. Schibsted Norway is one of the largest players in the media industry in Norway, owning many of the most popular news media sites and the largest classifieds website. The SSA booking flow consists of 4 to 5 steps depending on the market. The UI is the same throughout with a theme change for each market. After every usability testing / user interviews we would gather the team into a room and ideate based on the findings from the interviews / tests. The outcome of those workshops always resulted in action points and were prioritised. We came up with this process of logging / storing every new idea of product improvement into an idea bank. This enabled us to keep track, sort, prioritise and action those ideas based on ICE criterias : Impact, confidence, ease of implementation. Always taking in consideration what user problem we were trying to solve. Depending on the prioritisation of the idea / feature, we would always try to design experiments and initial releases of improvements or features so that we could deliver more value to our customers more quickly and with the minimum required investment. Make your ad stand out by adding a picture and a logo, add a title and description and send visitors to the right place by adding your website URL and label. Summary of the booking experience, review all the settings before booking. Manage your ads, pause, duplicate, see your ad live on your selected publisher or create a new ad. Choose your audience more likely to see your ad from interest, demographics and geo targeting options. 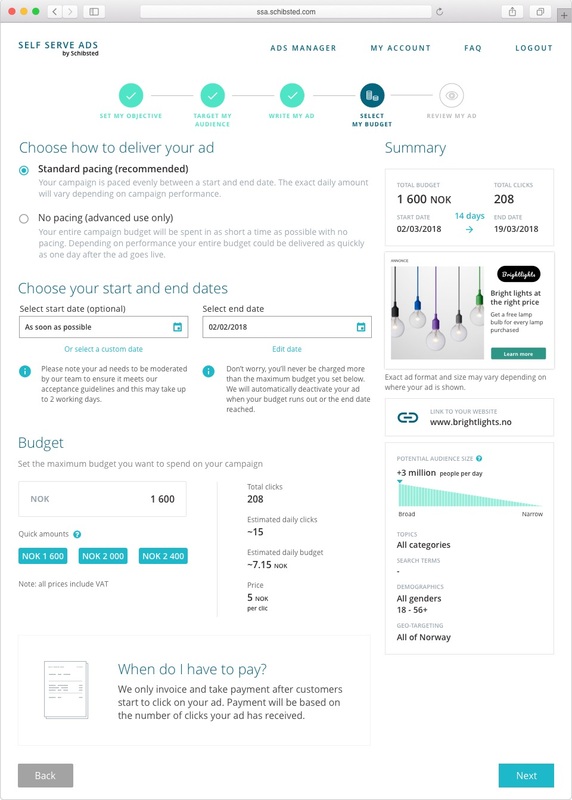 Choose how fast you want your ad to be delivered, select your schedule and how much you want to spend for this ad. Congratulations, your ad has been booked! A few tips are displayed to manage user expectation and clear call to actions to provide navigation. 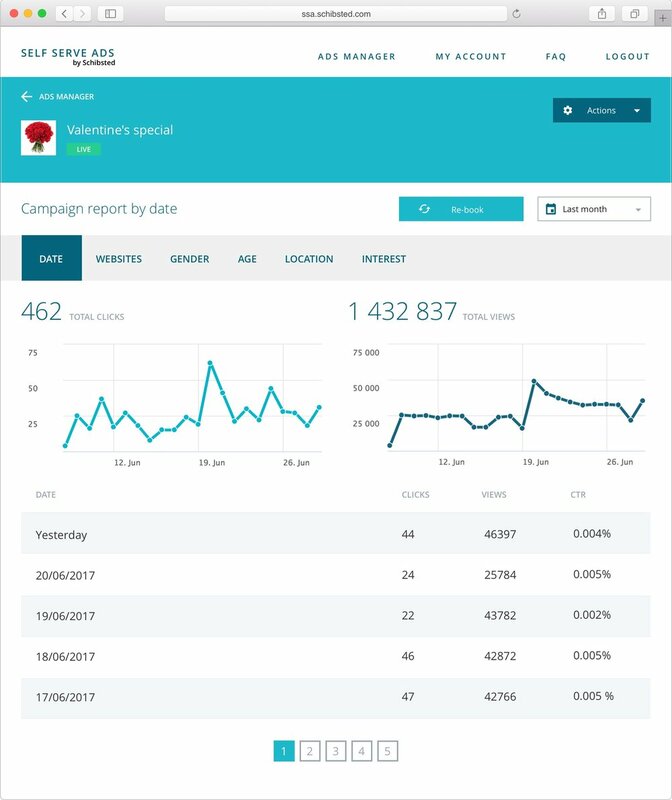 Analyse how your campaign is performing with access to different data dimensions such as data, websites, demographics, location and interest. Designing a self serve ads platform has been a fantastic experience from beginning to end. I was lucky to work with so many brilliant and interesting people, learning something new every single day. Working in ads made me realize the incredible power I had to have impact as a designer. There are few areas that are as rich, complex, and multi-disciplinary as ads, and where there’s complexity, there’s opportunity for design to shine.